The ever-changing aquatic habitat readily creates a relaxing atmosphere while offering everyday utility. 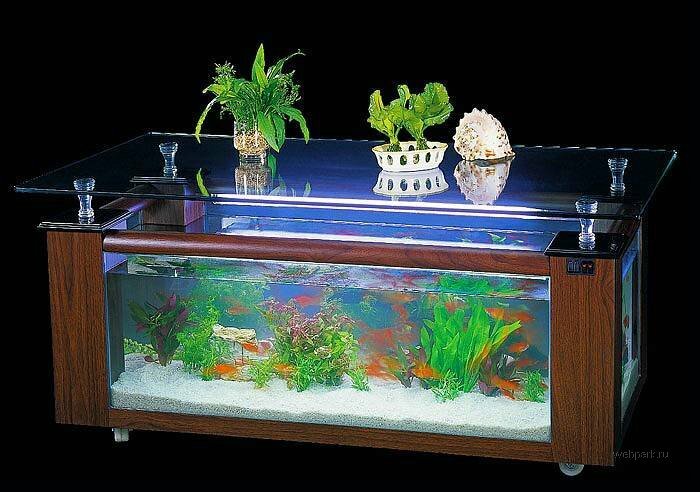 Each table aquarium is complete with lighting, extension cord, decorative plants and two-stage submersible filter pump. There are various shapes to fit your interior placement. A solid 3/8″ tempered glass top completes the system designed to provide you years of enjoyment. 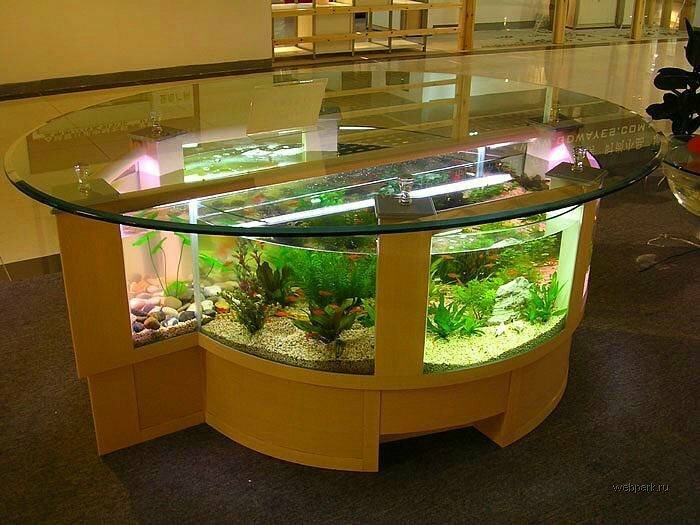 The stunning design, unique shape fish tanks, will look great in any living room or office reception.